Bad news for people who splurge: Michael Wilson, the chef of the Phenix restaurant at The Puli Hotel, is leaving Shanghai this spring. Wilson is, in my and many others' opinions, one of the most talented Western chefs working in China, and has been here for several years. In September 2016, Michelin agreed, and gave the restaurant one star, which it has maintained since. 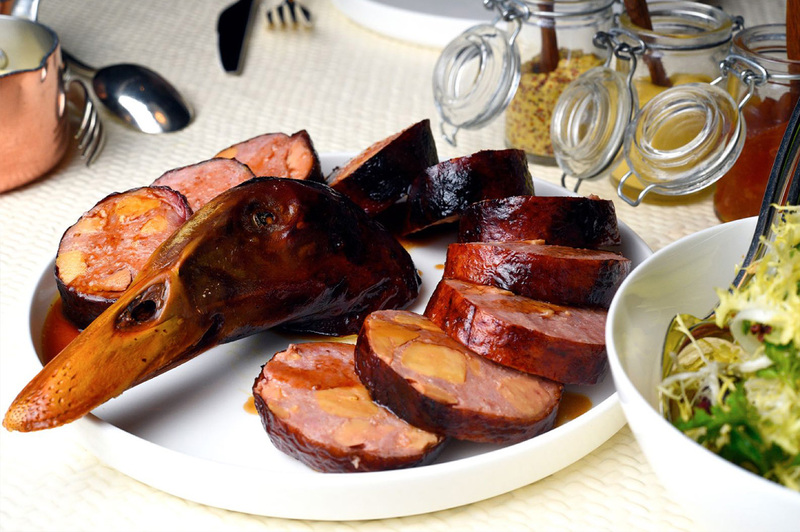 If you're struggling to match his name to his food, maybe you've seen his duck neck sausage on your Moments: a long, lithe head-on duck neck stuffed with foie gras, pork and duck meat, lacquered dark brown and sliced tableside. Wilson's last day is at the end of April. No word on who his replacement is or what changes he or she might make. If you haven't been to try Wilson's cooking, now is the time. With three-course lunches at 248rmb on weekdays (+service and tax), there's really no excuse.